NEVADA COUNTY DEMOCRATIC CENTRAL COMMITTEE ARGUMENTS? OR INSULTS? Many “arguments” suffer from not being arguments. What is an argument, anyway? Argument is generally defined as a list of statements (called “premises”) and the conclusion drawn from those premises. If one or more premises are not valid, the conclusion based on those premises is not valid. So, what is the problem? The problem is that in many cases the argumentation does not address the validity of premises, it addresses something else. This is called “a fallacy.” Very useful reading about the argumentation fallacies is at: List of Fallacies, 15 Logical Fallacies, and other sources. I highly recommend a study of those sources, as well as reading my article and comments to it. My article stipulates a simple argument. Its two premises are: 1) the US government separated over two thousand children from their parents, on the US-Mexican border, based on “zero tolerance policy” applied to border crossing families, and 2) separating children from their parents is cruel and immoral. The conclusion: “Zero tolerance policy” as a cause of family separations is cruel and immoral and should be rescinded. One note, “right of the bat” is in order. This argument, aside from me articulating it in writing, has nothing to do with me. It has to do with the validity (truthfulness) of the premises and the logic of deriving the conclusion. By presenting it, I simply exercised my First Amendment Right of Free Speech, and this is it. I trust that you, if you are one of the defenders of the Constitution that criticized me, have no problem with me using my constitutional right – correct? 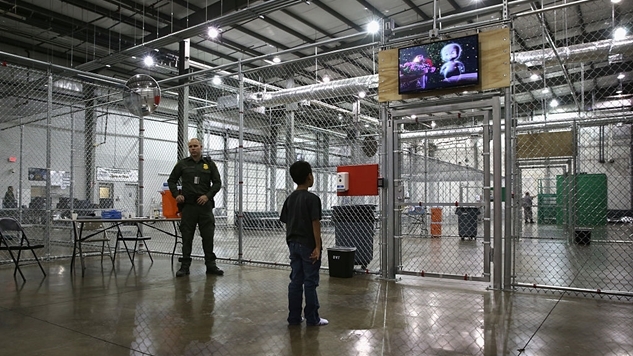 So, if you wish to invalidate the conclusion of the argument, you must prove one or both of the following: 1) It is not true that the US government separated over two thousand children from their parents, on the US-Mexican border, based on “zero tolerance policy” applied to border crossing families, and/or 2) it is not true that separating children from their parents is cruel and immoral. Shifting the frame, not answering the question, problem, or dilemma. “Is it cruel to separate small children from their parents?” “This is the question of the law.” Blame the parents, punish the kids! Cult of personality, dogmatic assimilation. “Our hero cannot do wrong.” Yes, I witnessed this to be applied to Joseph Vissarionovich Stalin, dictator of the communist Soviet Union, in my youth. Mr. Trump himself proclaimed, “I could shoot somebody and I wouldn’t lose voters.” Are you one of those voters? Think about it. Group blame. “All Democrats should be in jail.” This one is really scary! Black and white choice. “You either have a country of laws or you do not.” It would be nice if it was that simple. It is not. The overriding consideration regarding the fallacies I listed, and the rest of them, is that they are irrelevantto arguments at hand. So, when arguing, stick to the knitting, please. As always, I am open to any good respectful exchange of ideas and opinions – whether we shall call it an argument or not.